Dining in Singapore has become too serious an affair, though not without good reason. The restaurant scene here is as famous for its magnitude of fine eateries as it is for the mass extinction of others bogged down by financial realities. It’s an unnerving thought that many restaurateurs are forced to come to terms with, with no easy way around it. 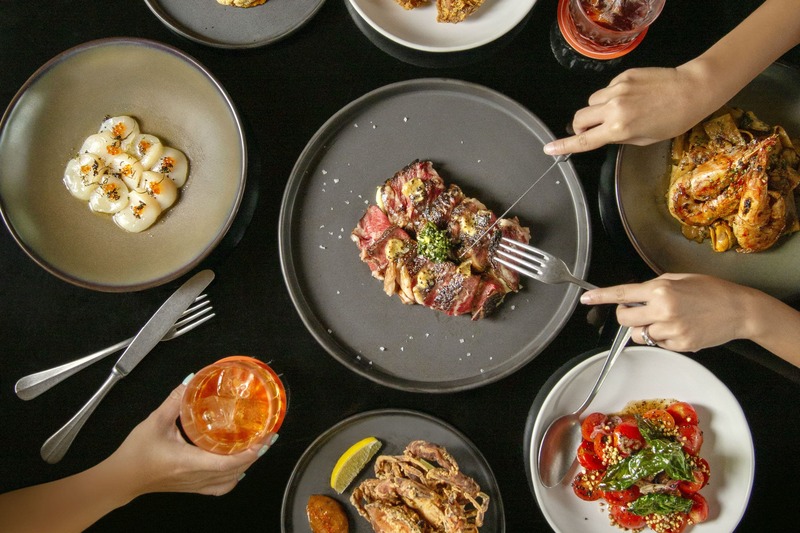 There’s no easy way around this, but there are a few tips restaurants without the backing of prestigious dining awards are wont to do — banking on dining trends, hanging on to signatures or going for prettily plated dishes. The smallest things are calculated, precision is key. Every single dish counts. Which is why eateries like Jam at Siri House have become such refreshing gastronomic retreats. This new restaurant in Dempsey puts all sombreness aside to serve up creativity and fun in spades. 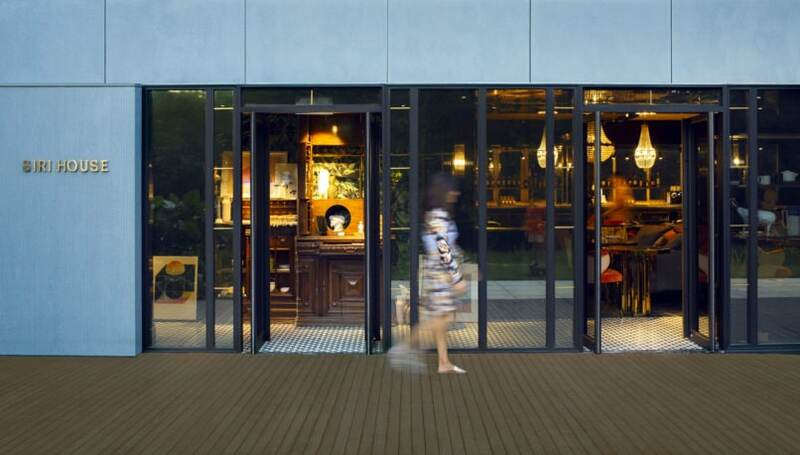 That’s a nice prerogative afforded to Jam, since Siri House is first and foremost a 3000 square foot marketing effort for Thailand’s luxury property developer, Sansiri. Not that it is a hack job — it is anything but that. 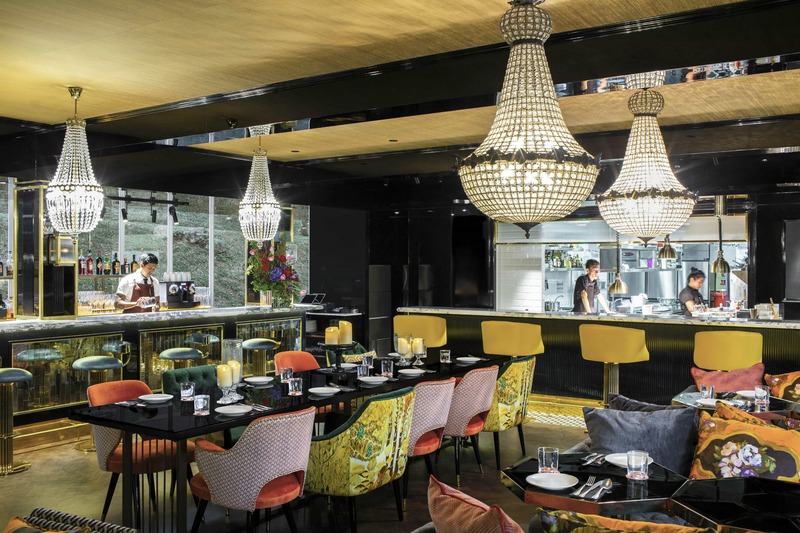 The restaurant is as well put together as Sansiri is with its property designs. 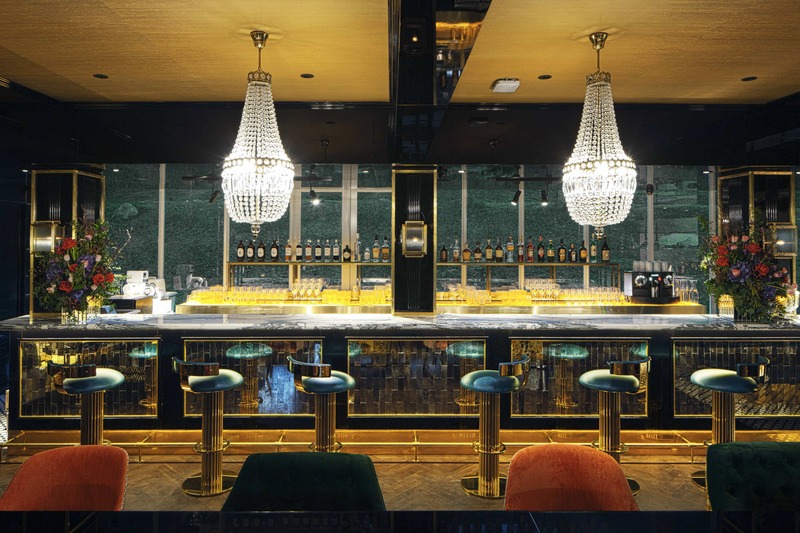 Jam is conceptualised for diners to feel right at home, literally. It’s a little taste of what dining at home in Sansiri’s luxury properties is like. 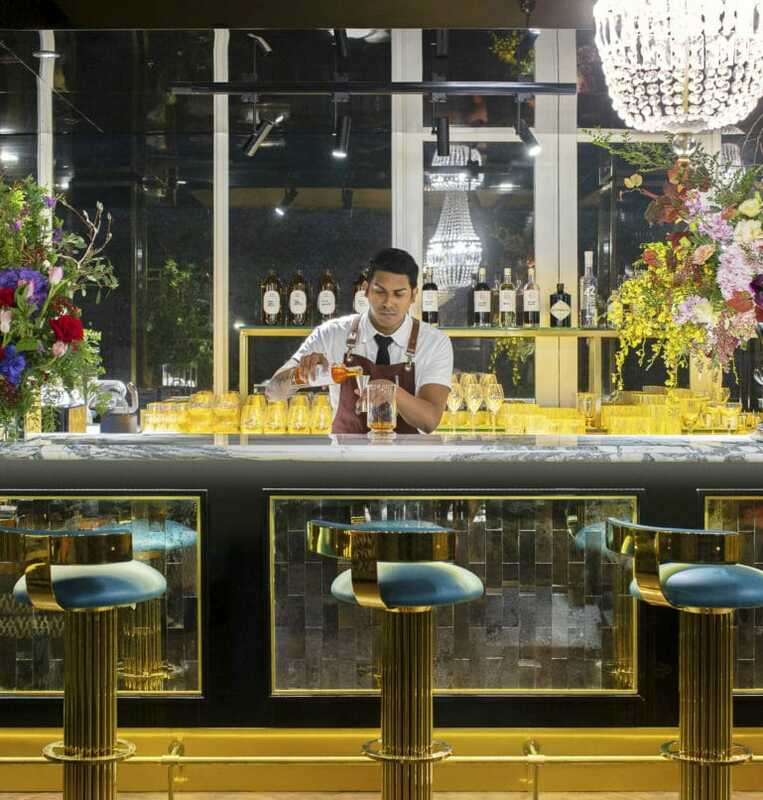 Here, diners are offered a good look at Sansiri’s eye for design. The 42-seater is dressed in an eclectic mix of Art Deco furnishings and Peranakan tiles. 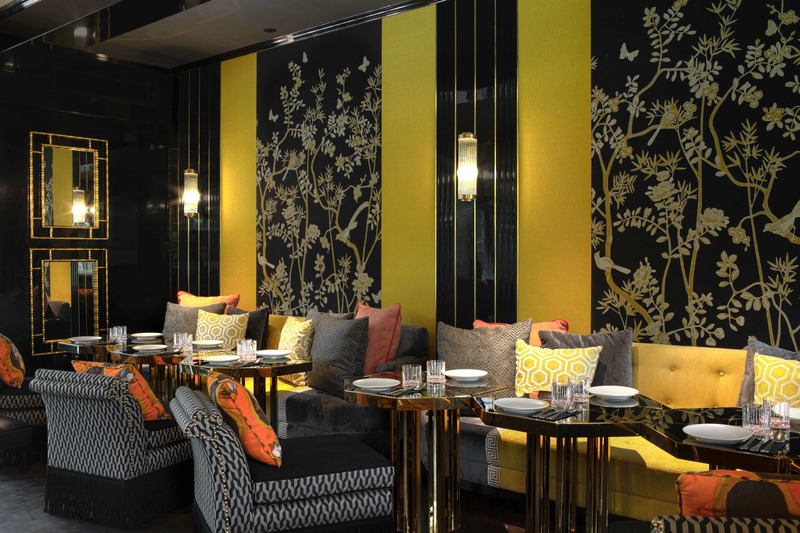 Sofas, couches and a colourful mix of lounge chairs play supporting roles against a dramatic backdrop of black lacquer and Chinoiseries. It’s luxurious, sumptuous and cosy. The sea of cushions might lull you to sleep after a couple of drinks. But we like the idea of sitting by the counter facing the open kitchen. These certainly aren’t the most comfortable seats in the house, but they truly do make you feel more at home. Diners get to talk to the young cooks manning the kitchen who will share the wild culinary ideas and stories behind each dish. The ‘specials’ chalkboard slipped in at the back adds a needed touch of casual spirit to the place. Naturally, fitting in with the generous and hospitable vibe, the menu’s geared towards a ‘homelier’ feel. They certainly have the right people in the kitchen to execute this vision as well. 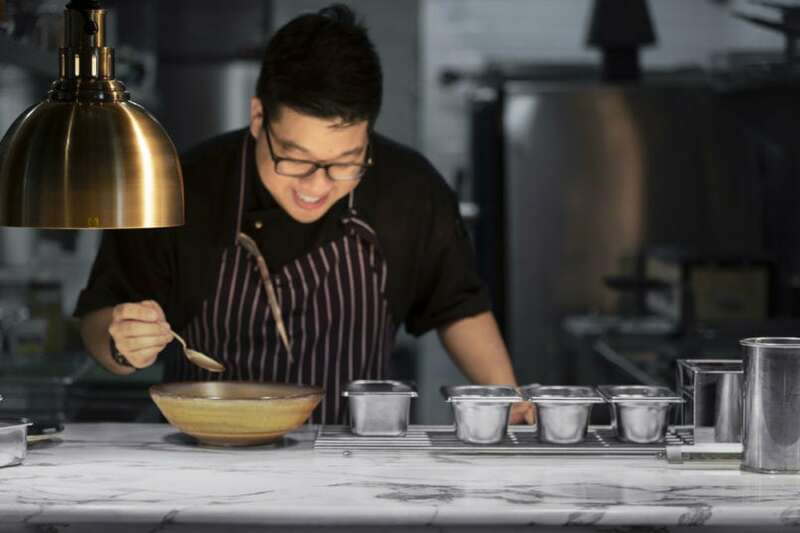 The food here is conceptualised by local faces, Ming Tan of Park Bench Deli and former New Ubin Seafood’s Jeremy Cheok. Their backgrounds hint at comfort food and that’s what they deliver. Jam goes for a communal approach with sharing plates and the menu sounds uncomplicated. It reads a simple algorithm of ingredients and sauces — a good start to easing diners to indulge a little more without feeling too overwhelmed. These are dishes the kitchen team would ‘personally crave’ for, though you’d be fooled to think this is just simple soul food. There’s a tinge of a devil-may-care attitude across the dishes and it makes for light-hearted, fun dining here. Jam has its own bar with a programme led by Sunday Punch’s Mark Tay and Yap Hwee Jen. You’ll find a list of aperitifs and bottled cocktails to work into. But, if you’ve made yourself quite comfortable wherever you’re sitting there’s also a cocktail trolley with a revolving selection of drinks to peruse as well. Go for the Siri House Negroni, a version done with Thai red tea-infused gin. The Umemi, a green tea-infused vodka concoction with umeshu and lime is also a good aperitif to warm up to before dinner. Chef Ming loves his snacks and at Jam, he amps these up to another level. A bowl of popcorn serves as a precursor to the meal ahead. It comes drenched in beef fat, rendered from a USDA prime rib-eye that’s on the menu. We’re tempted to come back not just for steak but to whisk off a tub load of popcorn to the cinema. But you’ll also want to save space for the Chicken in a Biscuit, a cheeky take on a similarly-named snack. 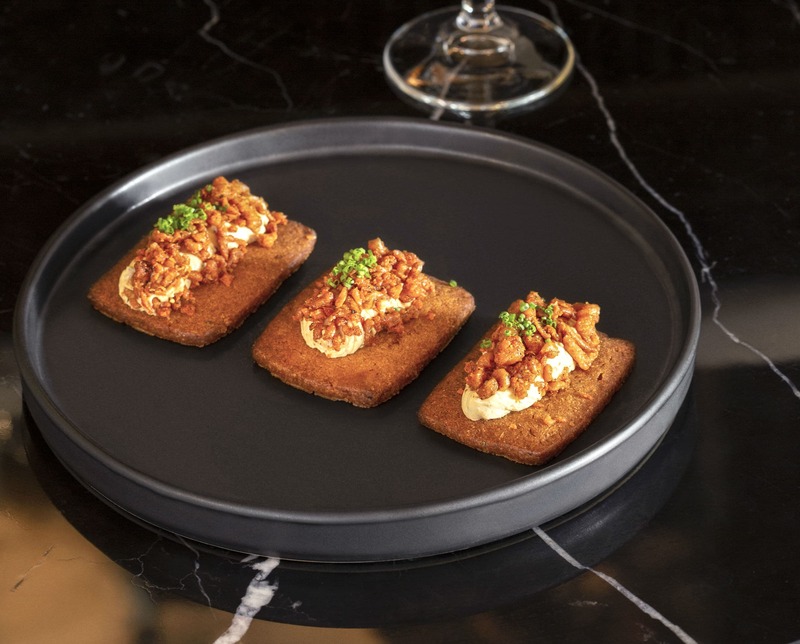 It comes as a piece of delicate sablé topped with a little savoury cream cheese mix buried under a foliage of crisp chicken skin crumbs. The biscuit crumbles in the mouth and unveils its secret ingredient: unctuous chicken fat melting away on the tongue. It’s not great for health, Ming quips, but it’s fantastic for your soul. The Spicy Potatoes is not the most attractive item on the menu, but it’s one that requires much effort to dish up. The kitchen goes for Hasselback style, slicing a potato into thin slices. It is then steam baked to keep it soft, then fried for a crisp exterior. The baked potato is grandly smothered in parmesan, beef lard and a housemade ‘mala’ mayonnaise made with chilli and Sichuan peppercorns. If you’re game, ask for the ‘level 2’ version of this mayonnaise. Chef Ming has unloaded iterations of indulgent sandwiches over at Park Bench Deli. Here at Jam, he goes for a simple, yet elegant take. The unassuming ham and cheese sandwich is hulked up with cured meats, mozzarella, gouda and just the right amount of black truffle paste. It’s flattened overnight under a pan — a little ingenious tip to keep the sandwich evenly crispy when it’s fried in butter. One might think that it’s way too much time spent on a sandwich. Then again, if you haven’t realised by now, this isn’t any ordinary sandwich either. The most popular dish here is also one of the most painstaking to create. The seafood sauce sees a bounty of good things: prawns and lobster head roasted in butter and thrown into mirepoix stock for another eight hours. It’s rendered into a bisque rather than a thick sauce, wrapped all around twirls of fresh handmade pappardelle. 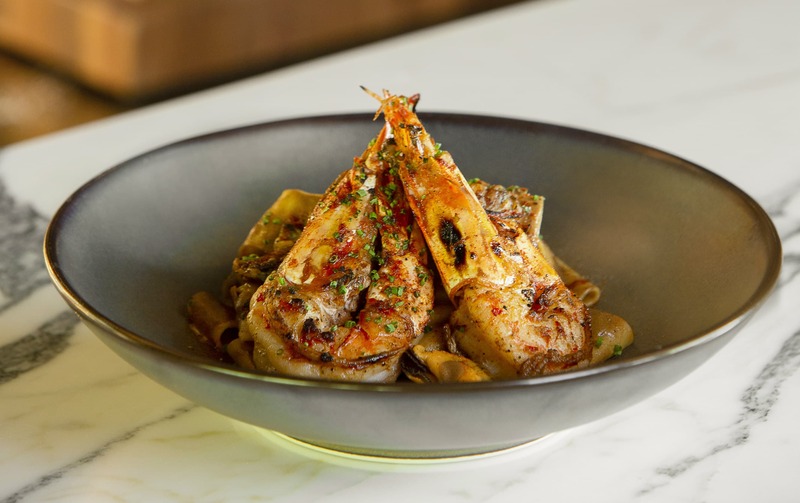 The mussels and tiger prawns spend some time in a charcoal oven, sharing a touch of smokiness to the dish. The perfect end to dinner can be found with this childhood-inspired dessert. Homemade graham thins are gently layered with a sharp 64% Valrhona Manjari chocolate raspberry ganache and raspberry puree. Then there’s a sprinkle of sea salt and torched marshmallow, sticking everything in place as one gooey cookie. Use your hands. It’ll get messy but it’s all worth it. Siri House probably won’t be the first place to come to mind when thinking of places to dine at. But don’t let these plush interiors and home setups hold you back. After all, the restaurant’s goal is to make you feel at home as much as possible and we think they’ve done a pretty swell job so far. You might just find yourself a new favourite dining haunt in the middle of Dempsey Hill.